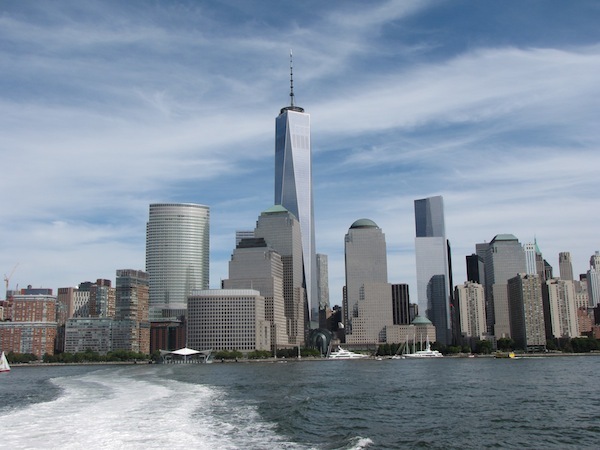 The New York City skyline, with One World Trade Center standing tallest, seen from a ferry on the Hudson River. NEW YORK — Last year, at my sister’s request, we visited the World Trade Center site, aka Ground Zero, to see the memorial reflecting pools and other features, but this year, with the 9/11 Museum now open, she wanted to return to see the new facility. 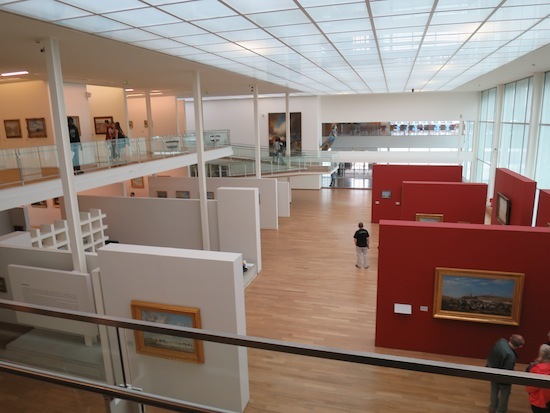 The museum’s entry is via an elegant multifaceted glass pavilion, which admits lots of light. 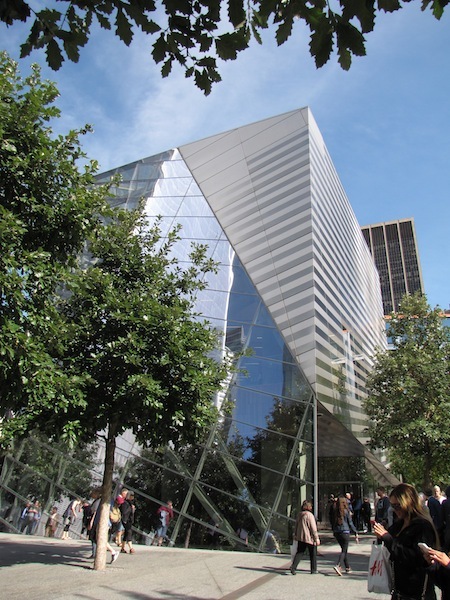 The elegant glass pavilion that gives entry to the 9/11 Memorial Museum, seen on a glorious September day. 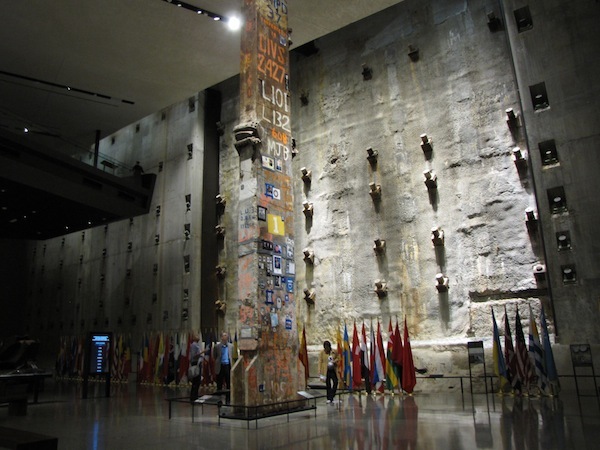 The museum itself is underground, reaching down about 70 feet to bedrock and extending out under the two reflecting pools that sit atop the footprints of the Twin Towers. The museum had to go below ground because it is obliged by law to preserve the last remnants of the original World Trade Center, which are at bedrock level, and to give the public “meaningful” access to them. Foundation Hall, at bedrock level in the 9/11 Museum. The slurry wall, which survived the 9/11 destruction, is seen, along with the last steel beam to be removed from Ground Zero. Its removal marked the end of a nine-month recovery effort. As a result, visitors see surviving parts of Twin Tower foundations and a retaining wall, called the slurry wall, built to keep the Hudson River from flooding the area. The slurry wall held after 9/11 and saved the city much additional destruction. It is, of course, a sobering experience to see the 9/11 Museum. My sister and I visited on a gorgeous sunny September day, a day just like Sept. 11, 2001. Even the sun seems somber in such circumstances. 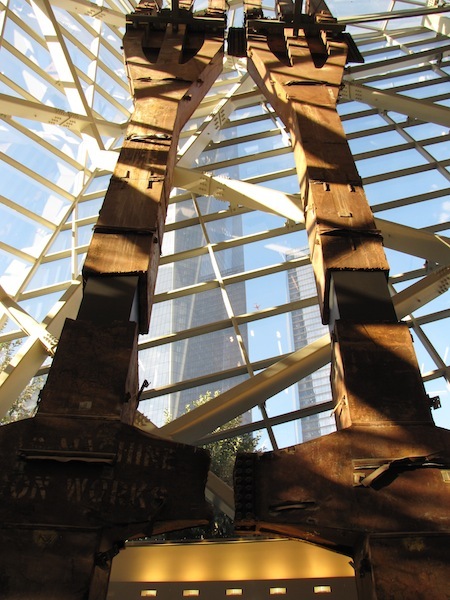 The first things any visitor sees on entry are two 70-foot-tall steel pieces recovered from the Twin Towers and now rising in the pavilion’s atrium. Called tridents because each has three prongs, they were two of many such pieces that were part of the exterior design of the towers. Tridents, two steel pieces salvaged from the Twin Towers, seen in the glass pavilion that gives access to the 9/11 Museum’s underground exhibits and artifacts. The tridents together look like an elegant piece of modern art — if you don’t focus on their provenance. Or, they can be seen as hands reaching skyward in supplication. 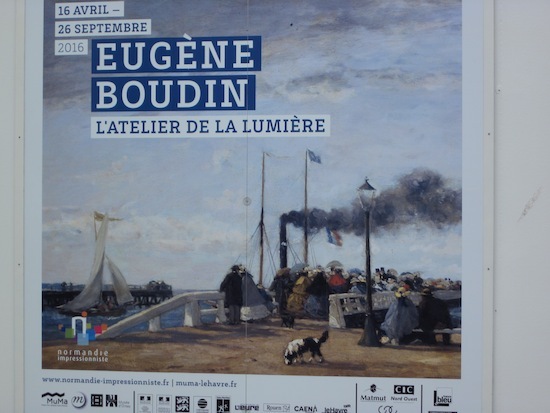 It’s important to know that the facility’s core exhibition occupies much of the museum’s bottom level. It is called the “September 11, 2001, Historical Exhibition.” We nearly missed it. 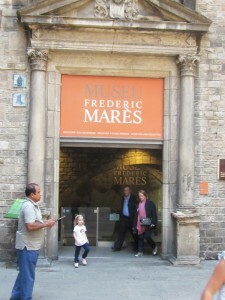 Here is the fourth in a series of articles by Intrepid Traveler publisher Kelly Monaghan as he travels through Spain. 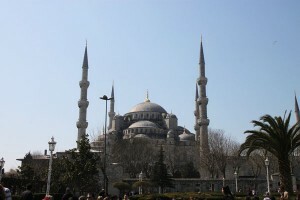 The Blue Mosque as seen by passengers on Louis Cruises’ Louis Cristal as the ship came into port. All six minarets are visible. ISTANBUL, Turkey — I have been in Istanbul several times, but this spring, for the first time, I arrived on a cruise ship, Louis Cruises’ Louis Cristal. Istanbul’s most famous mosque, the Blue Mosque. 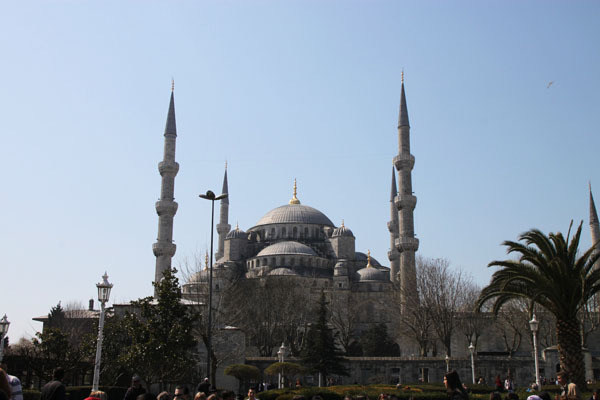 Turkey’s largest metropolis, but not its capital, Istanbul is fascinating. First known widely as Constantinople, it was the capital of the eastern Roman Empire and then the Byzantine Empire. Later, the Ottoman Turks — who renamed it — made it their capital, too. It was important for its location where Europe meets Asia and where the Aegean (via the inland Sea of Marmara and the Bosporus strait) meets the Black Sea. A sometimes wild, and certainly varied, history has left the city with a few Roman ruins, the remains of impressive walls, Christian churches with beautiful mosaics, 575 Ottoman-era mosques and a few palaces. And, as is often true of good strategic locations, Istanbul’s setting is spectacular. Entry into Istanbul by ship is all about that setting. Sailing into port, passengers had nice views of the Blue Mosque, the best known of the hundreds; Topkapi Palace, the hilltop home for sultans and their harems, and Hagia Sophia, once the world’s largest church. The dock was on the European side of Istanbul, the world’s only city located on two continents. 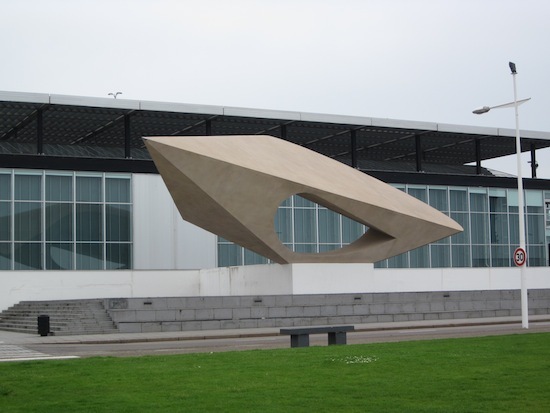 The historic sites and the business center are on the city’s older and larger European side. The Asian side, accessible by bridge or ferry across the Bosporus, is the “sleeping side,” our guide said. The tallest hill in Athens, spelled Lykavittos or Lycabettus. ATHENS, Greece — I spent about 19 hours in Athens this spring, not long, to be sure, but worth the layover just the same. I traveled from New York on Air France, flying for the first time on the world’s largest passenger airliner, the A380, on the New York-Paris portion of the trip. The statistics are impressive. The plane is 239 feet, 6 inches long, 79 feet, 1 inch tall and has a wingspan of 261 feet, 10 inches. It carries a whopping 81,890 gallons of fuel. Built to accommodate passengers on two decks, it can be configured with a three-class layout accommodating 555 passengers. In an all-economy configuration, it could take 840 passengers. When boarding, I could see the staircase to the seats on the upper level, but once in my place on the first level, the travel experience was much like being in any other widebody aircraft. One unique feature, however, was the surprisingly nice bathroom. It was small, but seemed like a tiny version of a sleek hotel bathroom. At the dramatic entrance to Athens’ new Acropolis Museum, visitors walk on the glass that protects and reveals an archaeological dig below their feet. In Athens, I joined a number of other travel press, and we made the most of a short visit with the help of a very effective tour guide, Natasha Koliakou. It was already after 2 p.m. when we launched our visit. We headed straight to one of the newest attractions in town, the Acropolis Museum (which replaced an older Acropolis Museum), opened in 2009 and situated below the Acropolis itself. 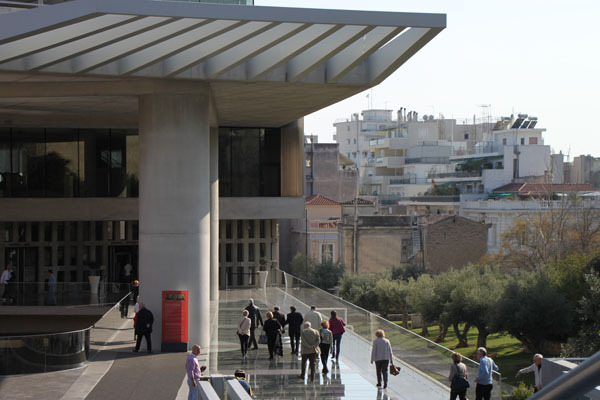 The museum is fantastic, a thoughtfully designed modern four-story building that houses the treasures collected from the top of the Acropolis. We entered by walking across very thick glass, which protects an archaeological dig visible below. Also, one section of the dig is walled but open to the sky for better viewing. Some of the dig is visible under glass sections of the floor inside the museum, too. At one point, curators showed us a traditional offering for the gods through a glass section of the floor. And, in places, lower museum levels could be seen because of see-through floors higher up. Displays include the originals of five Caryatids, referring to the pillars in the shape of women that were created for the Erechtheion temple. Because another Caryatid resides in the British Museum, designers of the Athens facility created an empty position in the Caryatid display and await the hoped-for return of the sixth figure. 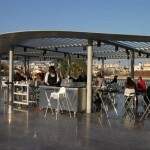 The cafe on the third-floor terrace of the Acropolis Museum. Taken together, however, the original marble sculptures plus the replicas form a mind-boggling display. 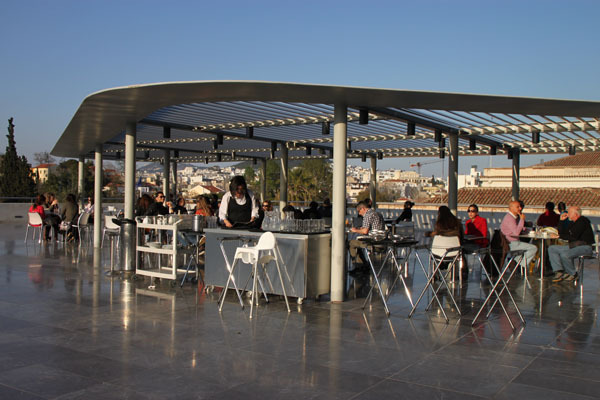 Before departure, we stopped at the outdoor cafe on the third floor for new views of the Parthenon — which was only about 1,000 feet away — and at the city’s tallest hill, Lykavittos (or Lycabettus, depending on the source). Natasha told us that while Lykavittos is the tallest of the hills, the ancients preferred the second highest, called Acropolis which means top and city, because it had a natural plateau and a source of water at its foot. EMP, sitting at the base of Seattle's Space Needle, was designed by Frank Gehry.